Kristi has has been home for 25 days now! The longest stint at home thus far since her surgery. I am very sorry for the lack of updates over the past couple weeks. Those of us here working as her caretakers are busy when we're at her home making sure she's taken care of and keeping up with their laundry and dishes etc and then once we arrive back at our own homes we need to keep up with life there as well - leaves very little time to sit at the computer, however, we do value your continued prayers and want to keep you in the loop so you know how to pray specifically as well as join us in Thanking Jesus for His provisions and for her progress. We are super encouraged by Kristi's continued progress in the right direction. She is counting down the days till two of her antibiotics will be over! She has a little over two weeks left with them and then maybe the nausea and restlessness caused by those meds and the anti nausea medications will go away. The typical routine for the past ten days is that she wakes up feeling pretty good and has gained energy and is doing more things with her mornings. She is able to get up and sneak out of her room to allow Billy to keep sleeping from his late nights at work and make her way to the couch all on her own, and in the last couple days she's braved getting her own drink and carrying it to the couch. Even made herself a pitcher of iced tea! She's still pretty shaky and weak so does not trust herself at the stove or even with a knife to cut up fruit! Those days will come though - I can see them on the horizon! This week she even left the house and went over to Katy's for a few hours while the house cleaners were there to perk up her home. She thought it was nice to have a change of scenery. THANK YOU to all of you who have given to have her house cleaned - this is a HUGE blessing. Here's the week review in pictures! Charlotte has stayed the last two weeks and helped with the kids in the evenings and getting them up and off to school in the morning! We could not have done it these past 3 weeks without Charlotte and Billy's mom Leona. They've done a great job of staying on top of the kids needs so we can focus on caring for Kristi's. You both have been a Blessing! 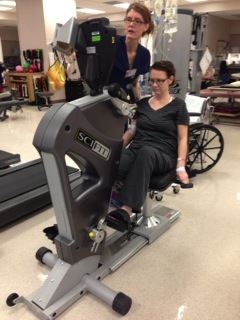 Lots of Physical Therapy these past two weeks and Kristi is getting stronger! We are grateful for Chris and his enthusiasm, listening ear, and desire to find treatments that will get Kristi back to living life again. She has accomplished her first set of goals and has recently set a new goal of being able to walk into Isaiahs choir concert un-aided, without her walker or wheelchair, so we are doing lots of walking! plus she's met the goal of standing for five minutes, being able to sit at her dinner table with the kids and in the den to watch a movie with her kids. 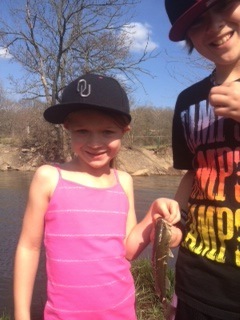 She told me yesterday that Chris is showing her she can do even more than she thinks she can. Her legs are still very weak and it's hard to do any sort of steps. Doing Physical Therapy at Katy's house - she had a fan club there! Another goal is to work on her gait - she still shuffles along instead of walking at a normal gait. She says she walks like our Grandpa Claude! Yesterday we walked beyond her driveway to the neighbors driveway and back, she's making new strides every day! Also yesterday she sat outside and colored - she was gifted coloring books and colored pencils for after her surgery and she's finally getting to the place she can focus long enough to color a picture. Although she is finding some renewed energy and a little more independance each day she begins to feel worn out come early evening. She finds herself counting down the hours till she can take her 9pm meds and go to sleep. She still battles the restlessness during the evening hours but not nearly as bad. Her PT has given her some stretches that has helped with that a lot yet it seems to be a side effect of one of her anti-nausea medications. We did attempt AGAIN trying to go off of that one and she threw up. So it's just a must for this season of her recovery. We continue to be touched by the out-pouring of love she receives by so many of you. This week she was able to pay off her medical bills to Highland Oncology and an old bill to the OU Cancer Center and still had some to send towards her bill at MD Anderson. THANK YOU to so many who have given financially to them. There is a huge need and you are helping meet it. THANK YOU to all of you who have provided frozen meals, pantry supplies, paper products, gift cards..... They have all come in handy and have met a need and allowed Charlotte and Leona to not have to worry about what to feed the kids in the evenings or for any of us to have to squeeze in a run to the store for the basics. You don't understand what a huge help that is! THANK YOU to those of you who came this last week to pull weeds, mow their grass and perk up their outdoors! This spoke volumes to Kristi and Billy. THANK YOU to those who continue to help cart the kids too and fro from school and their many activities. It has allowed them to continue doing things that are a part of their "normal" in the midst of a time that feels so abnormal. Our hearts are full and we are grateful that Kristi continues to recover versus having set backs and for all of you who have helped us keep life moving in a positive direction. Danina will fly in this next week to join the care team for the upcoming week. Please add her travels Sunday evening to your prayers. Last night I was driving home from caring for Kristi and her kids and I felt teary. It was a mixture of sad and happy tears. I was happy because she has these tiny little improvements that are so exciting. Such reason for praise! Last night she did NOT throw up!!!! PTL! I'm grateful to see her occasionally walk off without her walker even for just a few steps or see her brush her teeth at the sink. It's still a praise to see her sit up on her own or stand up on her own. She rolls to the side and then pushes herself up with her arm and walla she's sitting up! (the things we take for granted!) We can sit around stuffing our face with food we don't even need to be eating, we may not even be hungry and we don't have to think about every little thing we eat. We don't realize this is someone else's lifeline to getting better. She has to be extremely conscious to what she eats, when she eats, and how much she eats a day. Eating is so hard for her. She has to force herself to do it most of the time but she does it and doesn't complain. She doesn't complain about much at all actually. You only know when she's feeling bad usually by her appearance or the shakiness in her body. Or the fact that caring for her so much you've learned her cues for "I don't feel good"! This is the part I can't even get through without tears rushing into my eyes. I never thought I would be taking care of my big sister. I've always called her, asked her, leaned on her, cried to her but now I find myself being the 'big' sister. I think that's why her sitting up or brushing her teeth is so impactful. It wasn't too many days ago it still took us two to three people to help her sit up and swing her legs around because she couldn't even lift them herself. Or bringing her water and a toothbrush to bed because she was too weary to make it to the sink. Just the act of brushing her teeth was all the energy she had. Some things are heart breaking but this journey has been heart wrenching. The things she has been through in the past 2 1/2 years are unthinkable. I never imagined some of them even possible. 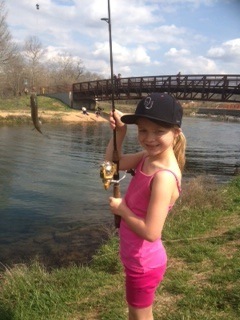 But she's done them...she's walked this walk and held her Heavenly Father's hand the whole time. Even when she wondered where He was at times she/we knew He was there. That is a promise God gives us that we can only hope through this journey everyone can come to know. In Him we have HOPE and that has sustained us through many days. This has been such a humbling experience for everyone involved but especially for our sweet Kristina. How sweet she is and what a blessing to so many. So many times people ask how does she manage with this or that or get through certain things...I have one answer GOD! He gives us such grace and mercy. I have definitely learned especially through all of this infection and feeling discouraged through this Cancer Journey what it's like to trust and have faith in Him. I can say there are days that I have felt my whole being grasping at that "mustard seed" of Faith. He says that's all we need and it's the truth! I started this post just to tell that Kristi didn't throw up last night and look where it went!!!! I was so happy that she didn't get sick because it's so hard on her. She did go back to taking a whole anti nausea pill that makes her restlessness and jitters worse. So it's a trade off. Either take half that pill and have less restlessness (which can be severe) and feel nauseated or the whole pill and less nausea and more jitters. ugh. BUT you can find a praise in almost anything nowadays! thank you for praying and please continue to do so! It's helping! Think about the things you take for granted today and look for reasons to be thankful. My son (3 1/2 years) told me his Apple was "beautiful" today and I thought when was the last time I found beauty in something like that! He looked it all over before eating it as if it were the most amazing thing he's ever seen! He also told me a few days ago while riding his bike he softly said "This is wonderful Mom. This is a Wonderful life"!!!!!! Whaaaaat!?!?! What a smart little fella. It makes you stop and think....slow down, be grateful, look for the little things...and enjoy life! It's "wonderful!!!" We are surrounded with little gifts and beauty every day. Let's try to look at it through a child's eyes! she's able to get in and out of her bed all by herself and has gone to the kitchen to get her own drink just needs someone to carry it back to her room for her. she's able to make 3 laps around the inner circle of her home where before she barely walked to her kitchen and back - she's even caught herself taking off walking without her walker a few times - although her PT told her to keep it close! She has certainly enjoyed being back in her own home. Another praise this week has been her PT. He was very dedicated to hearing her story and understanding what her needs/goals are. Some things she's going to be working toward is the ability to sit at the kitchen table while her family eats and being able to stand up for five minutes (at MD Anderson they had her stand for 2 minutes and that felt very hard) This would allow her to stand at her sink to do her hair and bursh her teeth etc. Kristi's muscles have atrophied greatly in size and length and due to shrinking in length this makes it hard for her to sit very long or be able to lay flat in her bed. These are goals she will begin to train her body to do again as well. However if she does not keep enough nutrients in her body all the physical therapy in the world will not help her because her body will not have what it needs to recover. Nausea continues to be a battle due to the high powered antibiotics that she is on. She has also battled significant restlessness all week due to the side effects of one of the anti-nausea meds. Her home health nurse referred to her as a jitter bug! We are hopeful that tomorrow we will hear back from MDA about another anti-nausea medication, by alleviating the one to help with the restlessness it is not enough to keep the nausea at bay and her from getting sick by the days end. The hardest part of her day is between 6-9pm - the restlessness and nausea rare their ugly heads the worst during this time frame and she ends up throwing up. At times the nausea scares her as this was the indicator before that the infection was back - the difference we see this time around is that overall she feels good where as before her whole body felt bad. We would also like you to pray for our new little 8 year old friend we made at MDA - we mentioned her in a previous blog but Julia (who is loving called JuCan) was told a little over a week ago she was cancer free only to discover that her cancer may have returned in her knee. Tomorrow she will undergo a biopsy that will reveal whether it is an infection in the bone or if ewings sarcoma has rared its ugly head in her little body again. The battle against cancer is wearisome - Julia's grandmother has also been re-admitted this last week to MDA due to her own cancer. You can read her story at www.JuCan.cc We know we are not alone as we walk this cancer journey - God has called many of you to walk it too. We are praying for each of you and for a cure for cancer. Another young mom from our home town, Toni, fights for life and the chance to be mom to her children. She currently is seeking a second opinion and asking others to pray for a miracle. Please join us in praying for these two families. Grateful we can join together as one and cover each other in prayer. Tonight I will close with a Psalm where David waits on God and encourages others to put their trust in Him rather than in their own human strength. for God is our Refuge! Yesterday was a full day for Kristi that brought along with it some anxiety about whether or not she could do all that it entailed to get Home. Although she has taken strides in her recovery sitting for hours on end is very difficult. As the morning started Kristi began with her own chant "We're going home today" in hopes to instill courage for the journey ahead. Danina and I prayed! So many details in taking a "sick person" home on a commercial plane. 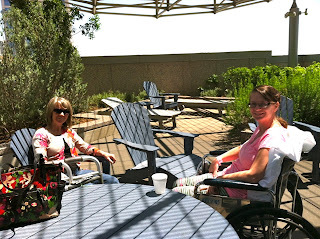 We all noted that we are gaining compassion for those who live life disabled in some form or fashion. 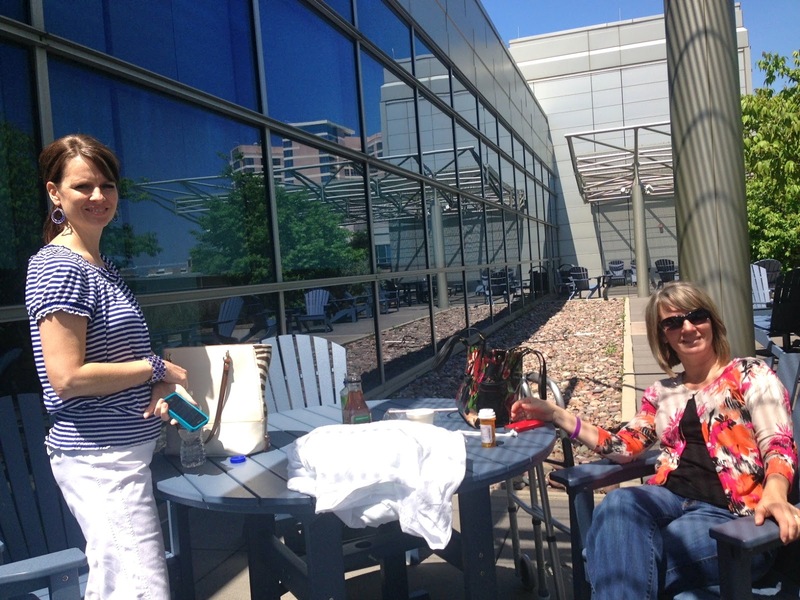 Upon arriving to the airport you would see Danina and Amy scurrying to unload all the bags plus locate the wheelchair for Kristi and cars are zooming in all around us to drop off their loved ones. I (Amy) note that the tail of the car is hanging out into the other lane and due to it being a rental car certainly do not need to be rearended so in the scurrying I jump in the car to pull it forward only to send the suitcase that Billy loves but won't stand up tumbling to the ground and Kristi saying "Amy I don't think the back door is closed" and it wasn't! We then decide our best plan is to do curb side check in so we get in line and Danina realizes we have left both her and kristi's computers sitting in the wheel chair - not a safe idea so I jump out of line to put the computers in the car with Kristi and the man behind Danina graciously helps her move our luggage forward - only upon returning do I realize I need Kristi's drivers license and need to escape the line again! Finally we are checked in and given our ticket to meet an assistant with Kristi's Wheelchair. The whole time we are getting the evil eye from the security guard/parking attendant at the drop off area for leaving our car sitting there for so long but fortunatley (for us not them) some ones car broke down and a wrecker had to come in and that distracted the man from getting on to us! Danina and Kristi move on with the assistant, Danina bogged down in all the carryons that we needed to travel with (duffle bag with medicine, food and other essentials, pillows and a seat cushion for comfort, back pack with Kristi's computer and Danina's computer bag, purse and the walker) and I head off to return the rental car. Going through security itself was a new experience. We thought maybe when you travel by wheelchair you get to take the fast track but not so... Kristi still had to stand and walk through the security check point and be patted down plus they wipe down the wheelchair and the walker for any traces of explosives. We all passed security and I prayed that God would cover their eyes from the pair of scissors we needed to bring along with us and He did! They were probably so shocked by the umpteen bottles of medicine in my bag that the scissors just slipped their minds. Finally we are at our gate - Whew! leg one of this journey is complete! We have found lately that we remind Kristi to only think of the next thing because the big picture of recovery feels overwhelming!At the gate I was surprised to see a friendly face boarding our same flight! God is so good in all the tiny details - He has proven over and over to us that He goes before us. A local Doctor was flying home with his parents after his dad had to be at MD Anderson. He offered to assist me with our carry on bags and that was a gift. We were shocked at all the wheelchair assisted passengers on our plane and how assertive they can be to be first in line! We learn knew things about people every day on this adventure! Before boarding we had to say our goodbyes to Danina as she was flying out 30 minutes after us to head for her home. We hugged and shared our tears - theres always so much in those goodbyes - we'd been through a lot in the last few days together and we hold that in our hearts and we HOPE for improvement and healing in Kristi by the next time we are all together again. We count our blessings that we can walk this road together and to share in the hard moments and the victories. We cozied Kristi into my car where she could recline all the way back and stuffed pillows and blankets all around her. She took her next dose of anti-nausea and we were off for home! She did so well and slept the majority of the ride. As we drove into her house her kids were outside playing and came running for Mommy Hugs! Nothing is sweeter than that! 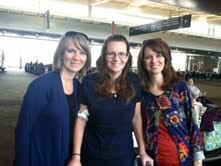 Leg three complete - Welcome Home Kristina! We watched more movies on the Hallmark Channel yesterday than we might have watched over 6-12 months. In fact, we watched them until they started all over again that evening. We laughed that NONE of our husbands could have "endured" that with us! : ) Amy also said, this is actually a sign of improvement to celebrate because Kristi hasn't even felt good enough to focus or enjoy tv or noise and it did help to pass the day. She would get up and go for a walk down the hall with her walker in between movies or on commercials. She can't get comfortable or stay sitting very long without having pain or her legs feeling incredibly restless. 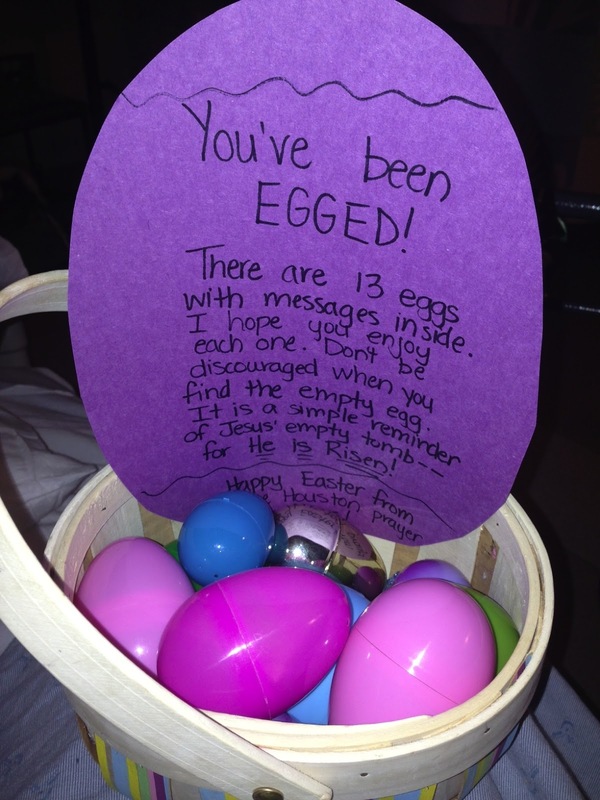 The nurse that delivered this fun and encouraging basket on Easter weekend said it was from someone who read Kristi's blog. 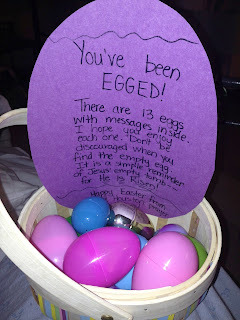 We have added this picture to our Easter Blog Entry and Team Kristi Prayer Warrior Facebook page, but Kristi asked that we put this on today and make sure that her Houston Prayer Warriors know how much this meant to her and encouraged her. We got up this morning and read our Jesus Calling Devotional and listened to a song called "Worn" by Tenth Avenue North because Kristi's days and recovery feel Looooooonnnnnnngggggg and she often feels worn before the day begins. We thought we would share it with you today. If you are feeling worn out by something in your story, may God give you rest and redeem your heart and mind. You can listen by clicking on the link below the picture. We took Kristi out for a walk to get some fresh air. Being cooped up in this hotel room for days can make anyone feel restless!! Kristi enjoyed hearing that Billy and his Mom were able to have a great day together with the kids and enjoyed a little fishing trip! They are counting the minutes until their Mom and Wife can be home again!! Praising God for no complications at this point from her procedures and oral medications. We are still on track to return home tomorrow. Kristi feels some anxiety about the travel and the exhaustion of the travel itself so please pray for she and Amy as they board their flight at 1:00 p.m. tomorrow and then drive home from Tulsa. This will be a long time for Kristi to sit upright. We still are having to manage the nausea through several medications. Nausea and low appetite are side effects of every antibiotic she is currently taking. You have heard his name over and over. You have prayed for him. Now, you can meet him. 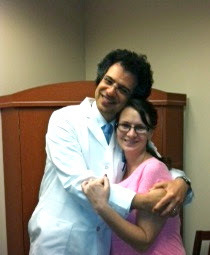 Yesterday, when we told him we wanted to get a picture of him with Kristi, he moved over to her and hugged her! He told her that she had been through so much and that he was so proud of her. He said, "You inspire me!" Kristi was emotional and said, "You have given me life." Dr. L. smiled and said, "Not me, I'm just a man trying to make it through one day to the next just like you." As Amy and I were watching this interaction through our own tears, I spoke up and said, "God has used you to provide opportunity for life" and he said, "I'll take that!" Kristi had three procedures in about 3 hours yesterday. This is a miracle in and of itself because Kristi and her care takers have been known to wait that long just to get through one appointment. We had some of you praying that we could get both the pic line and the drain removed yesterday instead of having to wait until Monday for the drain. We have to wait 48 hours after their removal before returning home, and Kristi is anxious to get home to Billy and her kids! We went from the 6th floor in seeing Dr. Levenback, to the 8th floor to have the pic line removed. Even though Kristi was incredibly uncomfortable, we enjoying getting some sunshine on their outdoor terrace waiting area. They have worked to make this place have beauty amidst so many enduring suffering. This was followed by answered prayer and moving quickly to the 4th floor to outpatient radiology to have her drain tube removed. Some of these procedures were physically painful and some of this process was emotionally painful. We each remembered what we had read in Jesus Calling that morning as we went through the day. We had not read it yet, when a friend from Pampa texted and said she had prayed it with Kristi's name in it for the day. I told Kristi and read it to her and Kristi said, "That's perfet because I was laying in bed worrying about getting through this day". It said......"Though you are an earthen vessel, I designed you to be filled with heavenly contents. Your weakness is not a deterrent to being filled with MY Spirit; on the contrary, it provides an opportunity for My Power to shine forth more brightly. As you go through this day, trust Me to provide the strength that you need moment by moment. Don't waste energy wondering whether YOU are adequate for today's journey. My Spirit within you is more than sufficent to handle whatever this day may bring." Kristi needed this yesterday! We needed this promise also as we walked through the procedures with her, as we grieved some of the losses with her, and as we celebrated some of the baby steps we keep observing everyday toward independence and health. 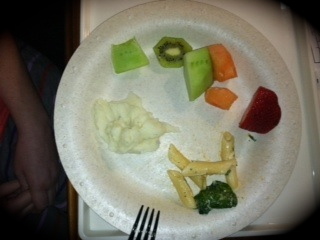 In fact, we had to take a picture of this "real food" she was eating and actually had an appetite and enjoyed it! We have found on this journey that we have learned to celebrate many things that previously we all took for granted everyday! We arrived to the hospital just in time to see Dr. Levenback and Dr. King and their fellows visiting Kristi. We could hear her laughing from outside her door. What a great sound! She was hardly speaking because she felt so bad last time we saw her. We were also surprised as she was just sitting upright in her bed and so alert and interactive. There was a little less of her to see as her weight loss is evident. The fast and miserable weight gain following her initial cancer treatment is now something she can give thanks for!! Sometimes I stand amazed at how God goes before us in some of the most inconvenient ways we can never understand at the moment, but are a gift later. Kristi had exercised and changed her diet following her Miracle, and had become so discouraged this past summer because she wouldn't even lose a pound!! Kristi had been talking to Dr. Levenback about her drain because it had changed both in color and in the amount over the past 24 hours and she felt anxious about it. Last time we left Houston, we watched the drain change colors and odor over the next several days before having to take her to the ER. Dr Levenback told us that he was just explaining to her that what she has been through is very traumatic and she will have some experiences like someone with PTSD (Post Traumatic Stress Disorder). He felt her anxiety about the drain was more tied to this than the facts of where she is medically at that moment. She was laughing and I said, "Well, her two sisters who are counselors have just arrived so we can handle PTSD right??" We all laughed, but seriously........Amy and I would feel much more knowledgable and at home with PTSD symptoms than all we have been doing!!! Although, I still do say that we have earned our nursing degrees throughout this adventure too! But for your sake, we will not plan to practice on anyone outside of the family. Shortly after this visit, the nurses checked Kristi out of the hospital and Dad made yet another run to the MDA Pharmacy to get more large bottles of pills. After packing up her belongings we took that familiar stroll to the elevator and down to the lobby with beautiful piano music and moved her into the hotel room. She walked with her walker from the car to the hotel room. It was another moment to celebrate like when we celebrated our children riding without training wheels on their bikes......"Look at me Sisters...No Wheelchair!!" As Amy and I were going over her medicine and writing down when we needed to give her her mediation, we realized that she had been able to drop two of her more high power pain medications in the past few days. We find yet another reason to celebrate! Two of the antibiotics she will take for 6 weeks and the other for 1 year to protect from this situation reoccurring. 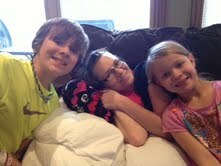 Kristi would like to thank everyone for your prayers that have carried her through this last 24 days in the hospital. She has needed and felt your prayers. She was telling me today how much Psalm 91 has helped her though out this journey. Verse 11 says, "For He will order his angels concerning you to guard you in all your ways." When she was strapped in three places on the uncomfortable gurney on the way to Houston in the ambulance and they hit some very rough places, she told God she needed his righteous right hand to hold her and make the bumpy road smooth. She pictured in her mind a huge angel with hands large enough to just hold her gurney up and felt the road become smooth. I'm sure she will have so many stories to tell in the days and years ahead as Kristi is a great story teller! Amy took Dad to the airport and he flew home to Colorado to see Mom and help with the finish of tax season. Kristi said she has told Dad he should feel like an extremely important man because he is needed in so many places. 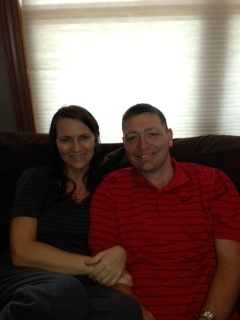 He will return to Arkansas to complete Jeff and Amy's house project next...hopefully! We have learned that we can't plan too far in advance on this journey. FRIDAY: Tomorrow we will take Kristi to the May's Clinic for an appointment with Dr. Levenback. They plan to take out the IV pic line and possibly the drain. PRAYER: Kristi would like prayer for her sense of restlessness. Her mind feels much better so she wants to move around and go and do, but her body cannot begin to keep up with her mind! She sits on the couch and bounces her legs and finds it hard to feel peaceful internally. I opened my Bible to read a scripture to her and then we read Jesus Calling. WOW.....it was all on "stillness of soul" and even had her scripture from Psalm 23...."He makes me to lie down in green pastures; He leads me beside the still waters". Kristi said, "That's what I want for this summer.....for Billy and I to take our kids and sit beside still waters and look out over beautiful green pastures." "Yea : ) PRAISE THE LORD!! We got good news. The Infectious Disease Dr. said that the scan was GREAT! The abcests are gone, no blockage and no leaky intestine, kidneys look good as well as the reconstructed areas. They are going to switch me to oral meds so I can go home rather than to long term treatment. One type of infection will need to be treated for 6-12 months, and the other 3 antibiotics for 6 weeks to ensure no infection returns. Could be going home soon. Thank You God!" Kristi has said that being bedridden and being on the strong medications for so long has affected her muscles. 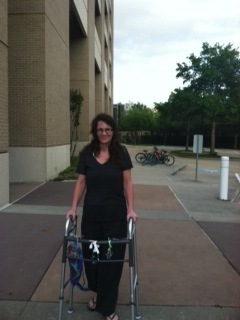 The Physical Therapist took her to MD Anderson's Gym yesterday to work her legs. It was encouraging and fun for Kristi to even get out of her room! This was encouraging for us to see!! Yesterday they began to change her medications over to oral medication. One of the antibiotics last night was not settling well in her stomach which is the concern. Please pray that she will be able to handle the medication orally so she can return home rather than to long term care. (The long term facility in Arkansas is a very depressing room and environment). Amy and I are flying to Houston today to relieve Dad. We are to move Kristi to the Hotel with us on the oral medications unless she was unable to handle them over night. Friday, Kristi is to have an appointment at the Clinic to see her Dr.'s where they will do exams, remove the pic line and possibly remove the drain. We then will need to stay at the hotel through Sunday to monitor for any fever or complications before traveling home. As stated before, this is all contingent on her ability to take the mediations and continue to eat without nausea and vomiting. Thank you for joining us in praying for healing for the blockage in her intestine to heal itself and for the possible fistula and leaky intestine, etc to heal without surgery. Thank you for praying over the CT Scan. God has chosen to answer these prayers and we are grateful and so are the Dr.'s. Thank you for walking with us in many ways as we have made this trip back to MDA. Roller Coaster of a ride! Sweetly Broken, Wholly Surrendered was the title of a post Kristi wrote a little less than a year ago. It's hard to believe all that's taken place in this last year. As we approched Easter again I was taken back to last Easter Dinner when the Wrights were trying to decide if they wanted to come because they didn't want the whole dinner conversation to be over the fact that her cancer was back.... they were tired of the dark cloud hanging over all holiday celebrations and eating away at their day to day life as well. Kristi remembers sitting in the family worship service that morning CHOOSING to celebrate our risen Lord despite the heart breaking news she had recieved previously that week. Now a year later we look back at our Miracle in June when they found no invasive cancer and called off the surgery to God bringing her full circle and the cancer rearing its ugly head again and her needing to do the full Pelvic Exenteration this January. As she lays in her hospital bed today at MD Anderson seeking prayer for strength and endurance because this road to recovery is feeling Soooo long, she still CHOOSES to Worship her Risen King. Yesterday (Easter Morning) she recorded an Easter message and texted it to us, Her family,... and sang Because He lives I can Face Tomorrow - So very True for all of us. We do not know what tomorrow holds but we do know WHO holds our hand. that you all had prayed for with us! Dad and Kristi had a very Non-traditional Easter Celebration in the hospital room - How grateful I am God is not limited to the walls of our church buildings, He meets us where we are! 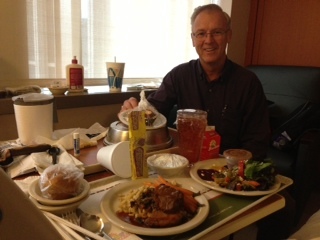 Dad had hospital fine dining of spinach and parmesan stuffed leg of lamb with lemon and carrots, along with roasted root vegetable salad with goat cheese and balsalmic vinegar and a roll. For dessert he had a chocolate bowl filled with light lemon cream filling with berries on the top! Kristi had peppered cottage cheese with a side of grape popcicle and freshly brewed iced tea! An Easter celebration they will neither one forget. We all felt the miles between us but continue to have much to be thankful for as we recall all the ways the Jesus has shown himself to each and everyone of us over the past year. We may not always understand Him but we are strengthend by His presence in the midst of these circumstances. Like the last year this day has been a roller coaster. When dad arrived this morning to make sure all was a go and that each doctor was sure to get what they needed from the CT Scan they discovered via Dr. King (Dr. Levenbacks fellow) that Kristi would not have a CT scan today. She said that after looking at the white blood cell count, the drain output, no bacteria in the new cultures and no fever they did not see a reason clinically to do another scan. Although this is some what a sigh of relief there is still that underlying fear that we do not know what is causing the infection to start with. Dad expressed his concern that the infectious disease Doctor had felt on friday that Kristi would need to do another scan and Dr. King agreed to discuss it with Dr. L. The day moved on with a visit from her PT whom we lovingly call chatty cathy :) She gave Kristi a work out doing a performance test and what they told us was a bird balance - I personally am excited to see Kristi do the bird balance - tomorrow she is planning to take Kristi to the gym so Kristi has been pushed and is moving right along with her PT. She also had a visit from the dietician today who was alarmed at Kristi's malnourishment and told her she needs to be eating 1400 caleries a day or they will begin to feed her via a tube. Dad says she ate more in one meal after that visit than she's eaten in three days! The afternoon concluded with a quick visit from Dr. L who is feeling rushed for time after being out all last week and said he'd be back to see her tomorrow. The infectious disease doctor came back by and in fact said YES he does need a CT scan to check the infectious pockets and to make sure drain is in the right location and perhaps if she needs more drains to determine the right location for them. He said he would order the scan for tomrrow. Dad headed back to the hotel to wash clothes for he and Kristi only to get notified that they'd come back in and told Kristi her CT scan was scheduled for tonight at 9:30. As of now she has drank 3/4 of her first bottle and feeling very nauseaous as she's trying to sip the rest of it away. MD Anderson is wanting to make sure that when they send Kristi home it is to her home and not back to the Arkansas Hospital for long term care. We are ALL in agreement for that. They do feel like the antibiotic they put her on after she first arrived worked as her drain has dropped to only having 10ml of fluid. This is huge as it was producing between 80-100ml at one point. Also as they did a new culture it did not grow the bacterias as it had here. She took the last of that antibiotic (or as Kristi called it Poison) on Friday night and she has felt better since then.